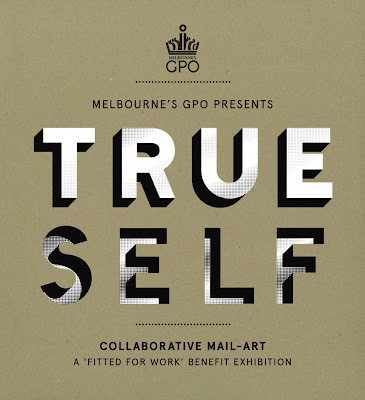 Caitlin Shearer: True Self at Melbourne's GPO. 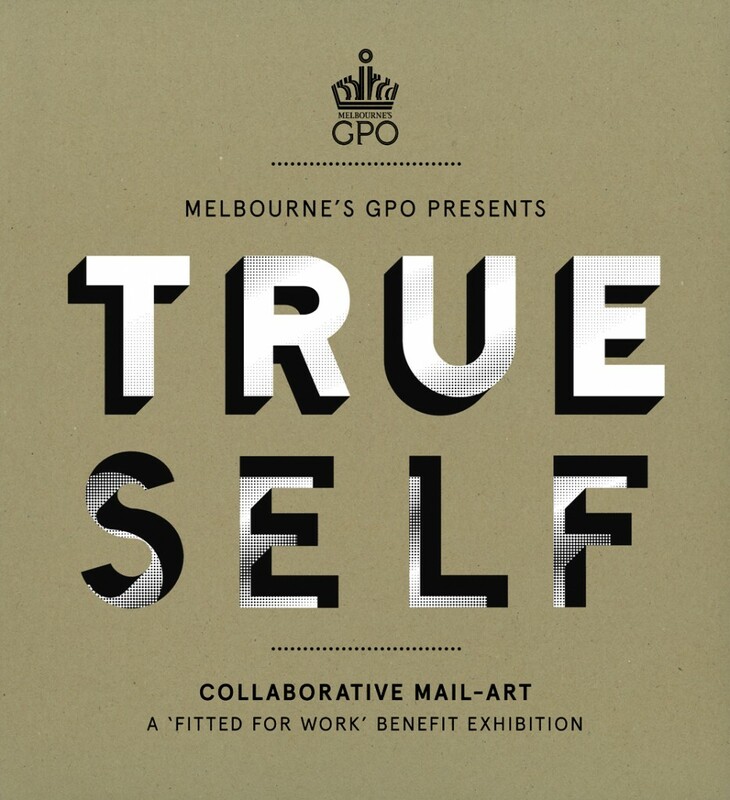 True Self at Melbourne's GPO. 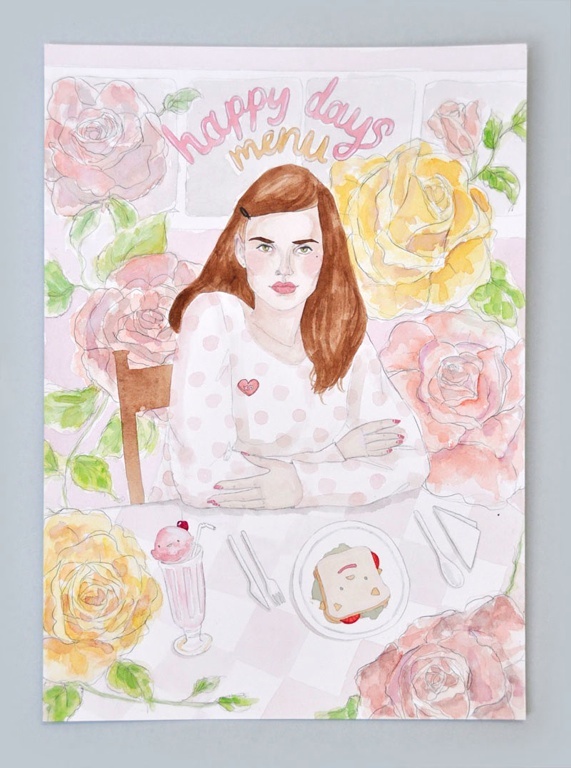 Melbourne’s GPO has joined forces with The Jacky Winter Group to present ‘True Self’, a charity exhibition that links fashion and art in the manner of a chain letter. I'm so chuffed to be beside 52 of Australia’s ﬁnest creative talents - and you can see these artworks hanging on the walls of the Melbourne GPO from June 1 to June 24, 2012. The first floor balcony in MGPO will be transformed into a bespoke gallery space by local creatives Foolscap Studios especially for the occasion. The originals on display will be available for sale throughout the duration of the exhibition for AUD $200 each. All proceeds will go to the charity Fitted for Work – a not-for-proﬁt initiative, providing clothing and training to help disadvantaged women ﬁnd employment. To date they have transformed the lives of more than 6500 women. Why don't you gather your coins and go splurge on a piece of art that helps out such a worthy cause. I love you Melbourne! a) Collab with Dawn Tan - Roses courtesy of Dawn - Girl, food and text courtesy of Caitlin. b) Collab with Lilly Piri - Lady and sprinkle biscuit courtesy of Lilly - School desk and candies courtesy of Caitlin. p.s. did you know that i'm represented by the Jacky Winter illustration agency? 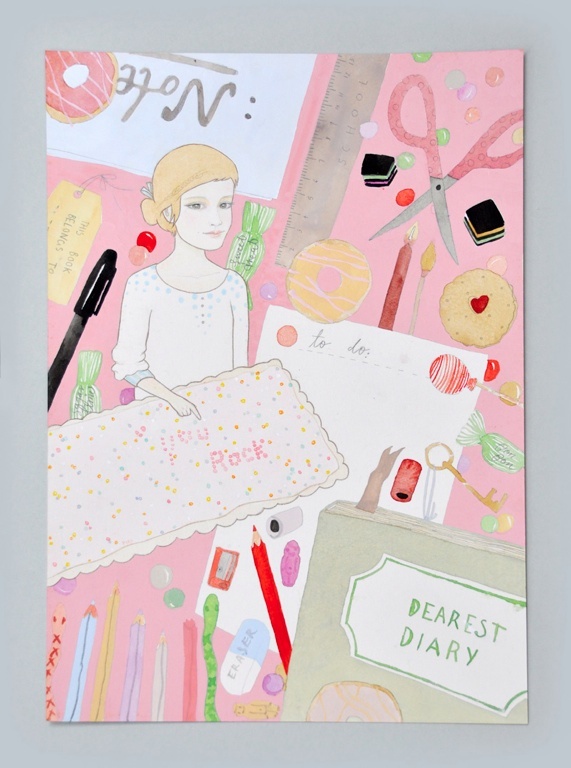 If you're interested in commissioning some work for magazines/books/fashion/fun, then please do send them a note. such a lovely idea to have the artists collaborate, both of them turned out beautifully! cool! hmmm i really feel like doing commissioned work but i have no talent! are you kidding? Your talent for drawing realistically is immensely great! Nice pictures! Calm and ecxiting.